The Tiger T8040 CCD camera is an advanced, compact, and durable interline CCD camera providing 8040 x 5360 resolution and frame rates up to 2.7 fps. 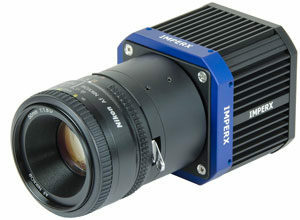 This 43MP camera uses the ON Semiconductor KAI-43140 image sensor with 4.5-micron pixels in a 36mm x 24mm image area for use with Standard 35mm optics. The camera provides programmable image resolution, frame rates, gain, offset, external triggering, strobe output, temperature monitoring, and user programmable and loadable LUT. The T8040 camera provides low noise, excellent uniformity, and low dark current.